How can I view the whole guest list through the box office? /Box office & Day of event /How can I view the whole guest list through the box office? In the box office, you need to use the “Search Orders” tab. On the left side under the search fields you will see a few buttons there. 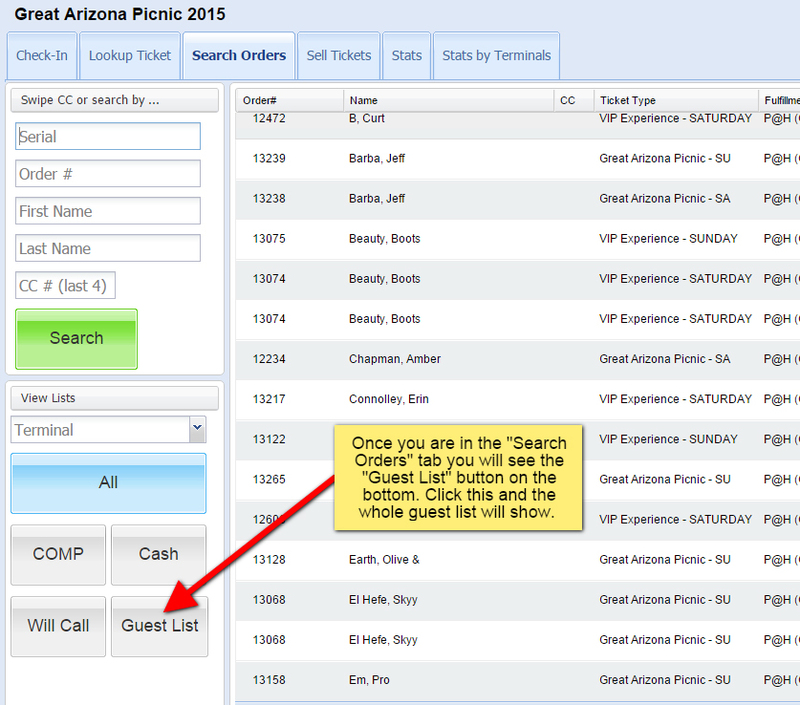 If you click on “Guest List” it will show the complete list.